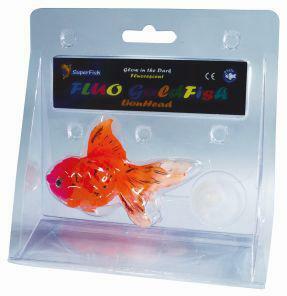 The Superfish Lionhead is a novel fluorescent ornament made from high quality, non-toxic silicone. Colourful, soft and flexible FLUO ornaments move naturally with the water flow. FLUO ornaments are easy to fix to the base of the aquarium using the suction cups attached and will glow in the dark if a blue light is used in the aquarium.